Damien Hirst, british artist, was born in Bristol in 1965. He is the most important exponent of the group Young British Artists (YBA), who came to light about 20 years ago for the addictive and controversial themes of their exhibitions. Hirst’s most recurring theme is death, often represented in a non-conventional way. His art scares and disgusts, but it’s also an invitation to reflect upon time passing by and caducity of life. Eventhough his art continues to create indignation in public’s and critics’ mind, he is one of the most famous and popular artists at the moment: everyone talks about Hirst, about his skulls made of pure diamonds, about his works realised by medicines and his stuffed animals. His most famous artwork is The Physical Impossibility Of Death In the Mind Of Someone Living, a four-meter tiger shark stuffed and preserved in a formaldehyde into a glass case. It was commissioned in 1991 by Charles Saatchi, who sold it in 2004 for 8 million dollars, making Hirst one of the most expensive living artists in the world. For this reason the ”Shark of Hirst” has become an icon, giving the title to books on the art market and making animal activists angry. This fact contributed to increase the popularity of the artist: today, the artworks o Damien Hirst are quoted millions and millions of dollars. One of the most famous work of Damien Hirst is the discussed "skull of diamonds", whose original title is For the Love of God. To give the title to the work was the exclamation of Hirst' mother: when she became aware of his idea to work with a human skull, she exclaimed "For the love of God!". The work is inspired by the ancient Aztec art and it recovers an ancient custom of funeral ritual. Covered with 8.601 diamonds, this work costed 14 millions of pounds: the work is a mold of a human skull, fused in platinum and enriched with 8.601 diamonds, included a pink diamond in the form of a drop on the forehead of the skull. Hirst took away teeth from the original skull, belonged to a 30 year-old European man, that lived between 1720 and 1810, and put them in the final artwork. Hirst plays with taboos and with limits imposed by the art world and his themes are often macabre and disrespectful. The original skull has a value estimated of 50 millions pounds and from this artwork Hirst created a version in limited edition signed in original by the artist: it is a particular serigraphy with a 3D optical effect made in two different sizes. Do you like videos? Look for them inside the sheets of artworks or of artists! 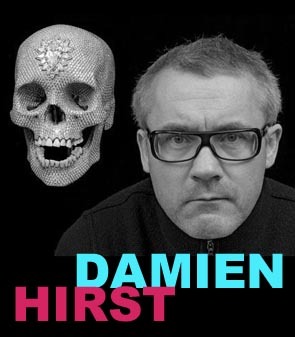 Do you want to know more about the skull od Damien Hirst? 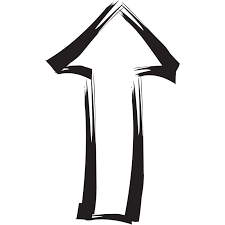 Look for the video above!